My first appointment to judge Briards was in 1987. I was then passed by the Kennel Club to award Challenge Certificates for the breed in 1995. I also judged certain other Pastoral breeds at Open Show level. My UK judging career climaxed in 2011 when I was invited to judge Briards at the world famous Crufts Show. 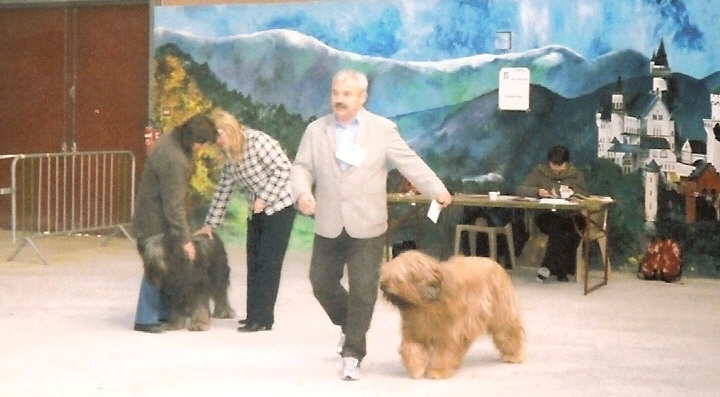 I have also judged a "Special" for Briards at the Alencon Int. show in France, and a breed event in Denmark.